An entire Fallbrook family vanished leaving eggs on the counter and pets unattended. In November 2013, officials in San Bernardino County announced dental records helped identify two bodies found in shallow graves near Victorville as Summer and Joseph. They say they believe two additional bodies found in a separate grave are those of Joseph Mateo and Gianni. This timeline documents the events leading up to and following the report of the family's disappearance. 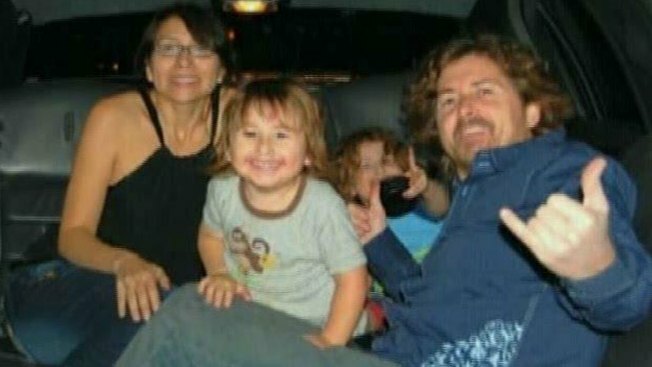 Jan. 28, 2010 – Someone using the McStay’s computer searched for information about travel to Mexico and passports for children days before they disappeared. Feb. 4, 2010 - Joseph McStay stopped answering his cell phone according to his brother. Summer McStay last spoke with her sister. Summer and Joseph text each other around 5 p.m.
Feb. 4, 2010, 7:47 p.m. - Surveillance camera at a neighbor's home shows family's Isuzu trooper leaving the cul de sac. Camera does not show who is in the vehicle. Feb. 4, 2010, 8:28 p.m. - Fallbrook cellphone tower pings Joseph's phone. He makes a call to an employee in Rancho Cucamonga to talk about work. Feb. 8, 2010 – Family’s 1996 Isuzu Trooper towed from a parking lot near San Ysidro, Calif. Security guards later tell investigators that it may have been parked there sometime between 5:30 p.m. and 7 p.m.
Feb. 10, 2010 - San Diego County sheriffs deputies conduct a welfare check on the McStay home. No signs of foul play, deputies do not go inside. Feb. 13, 2010 - Mike McStay (Joseph's Brother) crawls inside an open window, searching for family. Finds family dogs had not been fed and food was left on the counter in the kitchen. Feb. 19, 2010 – Homicide investigators searched the family’s home on Avocado Vista Lane in Fallbrook, Calif. They say there was no sign of struggle. Feb. 22, 2010 – Deputies say the disappearance has them baffled. Feb. 23, 2010 - Detectives notify Interpol to be on the look out for McStay family who might be traveling in Mexico. Feb. 25, 2010 – Officials distribute fliers and ask Mexican authorities for a search of airports, bus stations and other major travel hubs. March 5, 2010 - Video released by deputies shows images of a group of people similar to the McStay family going hand in hand into Mexico through the pedestrian gate. The video is dated around 7 p.m. Feb. 8. March 18, 2010 – Relatives allow media to tour the McStay family home. March 30, 2010 – FBI joins the investigation. May 13, 2010 - Seven investigators arrive in El Rosario, Mexico after a tip from the staff of a local restaurant. The waiter accurately described a birthmark on Joey McStay's forehead. August 3, 2010 – Family belongings are removed from the McStay family home by relatives. April 9, 2013: Based on surveillance video captured at the border crossing, San Diego Sheriff’s Department investigators announce that the McStay family left for Mexico voluntarily. Nov .11, 2013 - Motorcycle rider finds human remains in northern Victorville desert. Nov. 12, 2013 - Forensic investigators including an anthropologist work through day and night uncovering two grave sites with multiple human remains. Nov. 13, 2013 - Sheriff's investigators conclude that remains of four people have been discovered. Nov. 15, 2013 - San Bernardino County Sheriff John McMahon identifies the bodies found as Joseph, Summer, Joseph Mateo and Gianani McStay. Nov. 7, 2014 - San Bernardino County Sheriff's investigators announce the arrest of Charles Chase Merritt. He is charged with four counts of murder in the McStay slayings. Nov. 11, 2014 - San Diego Sheriff Gore defends his department's investigation of the McStay family disappearance. Nov. 20, 2014 - Defense attorney say Merritt suffers from poor health. Jan. 30, 2015 - Merritt requests to represent himself saying he has only six to eight months to live and cannot afford an attorney.